If discovering fresh new voices gives you a special thrill, Brandon Sanderson, Faith Hunter, Zen Cho, and S.A. Chakraborty have recommendations for you. 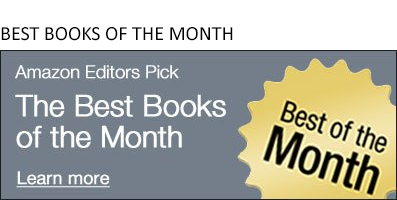 It might be ironic that Katherine Arden started writing her historical fantasy novels set in the cold forests of medieval Russia while she was working on a coffee farm in Hawaii, but clearly her process worked: The Amazon Books editors have picked all three of her Winternight novels as Best Books of the Month. The new year can't come fast enough, and by that I mean that I can't wait for these upcoming SF and fantasy books to fly from the shelf and into my hands. These five new SF and fantasy books will keep you staying up late during the long winter nights. John Scalzi talks with us about our interconnected lives, our willful blindness to realities that don't suit us, and the state of science fiction writing today. And because we weren't discussing only serious stuff, he also told us he has a Twitter handle for his cats called The Scamperbeasts. Put these seven SF and fantasy books right at the top of your TBR pile. Your turkey dinner gets a challenge this week as it faces off against these five binge-worthy book series. All Systems Red, the first novella in Martha Wells's Murderbot Diaries series, swept the Nebula, Locus, and Hugo Awards. Upon the release of the fourth and final novella, Exit Strategy, we spoke with Wells about her complex cyborg protagonist, what she's been reading and loving (lots! ), and what, if anything, is next for Murderbot. October is a great month for new reads overall, and it's a really great month for new science fiction and fantasy. V. E. Schwab Shifts the Balance of Power in "Vengeful"
V. E. Schwab talks with us about Vengeful, her new sequel to her supervillain novel Vicious. While Eli Evers and Victor Vale are still battling to defeat each other, three women with extraordinary abilities have decided to shake up the power structure of, well, everything. Terry Brooks Leaps into Science Fiction with "Street Freaks"
Shannara author Terry Brooks talks to us about breaking into science fiction with Street Freaks, his newest novel that explores bodily augmentations, government overreach, and power struggles among gangs, with a pulse-skipping jolt of illegal street car racing. Six of our favorite new science fiction and fantasy books range from mecha battles in the United States of Japan to an epic conclusion to a bestselling urban fantasy series.